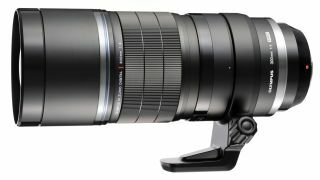 Olympus has announced that it is developing two new "pro" lenses for the Micro Four Thirds format. There will be a wide-angle zoom 7-14mm lens with a constant aperture of f/2.8. It will be splash and rustproof and covers an equivalent of 14-28mm in 35mm terms. The second lens will be a 300mm f/4 telephoto lens. In 35mm terms, the lens offers an equivalent of 600mm so will likely appeal to sports and wildlife photographers. It is also dust and splash proof. The lenses join the Olympus "Pro" range which includes the 12-40mm f/2.8 lens, which is already on sale and acts as a standard zoom for cameras such as the OM-D E-M1, covering an equivalent of 24-80mm. The second lens is the 40-150mm f/2.8 lens which is scheduled to go on sale in the second half of 2014. Olympus is showcasing mockups of the new lenses which will make up the Pro quartet of lenses at the CP+ trade show currently taking place in Japan. Both new lenses are scheduled to be released from 2015 onwards - pricing and specific ability has yet to be released. As Panasonic shares the Micro Four Thirds format with Olympus, the Pro lens line-up is also compatible with the Lumix G range of compact system cameras.